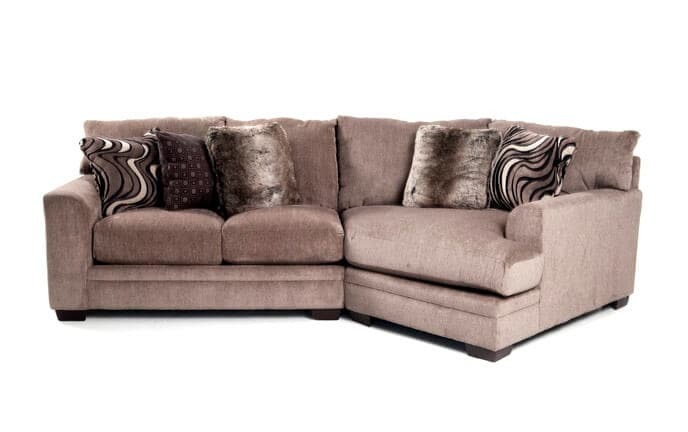 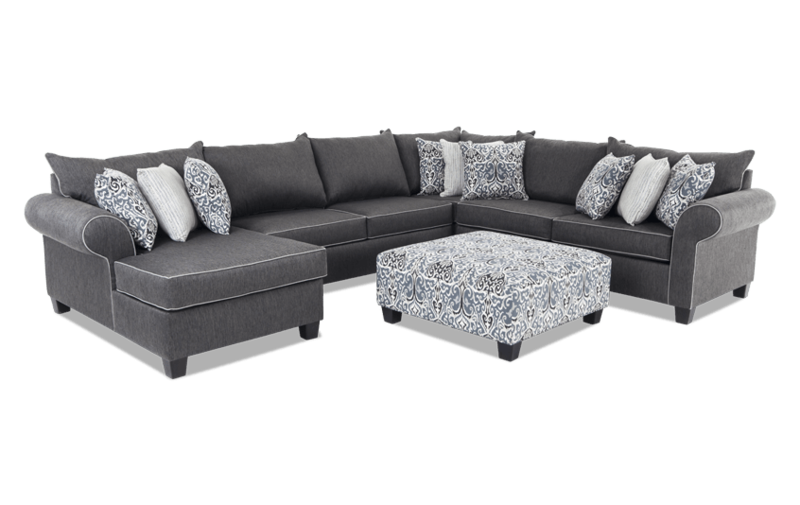 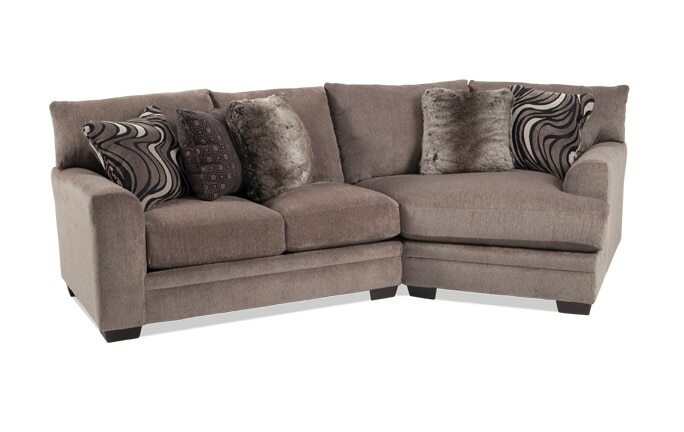 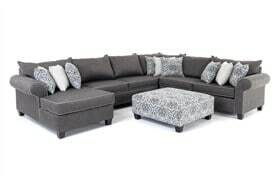 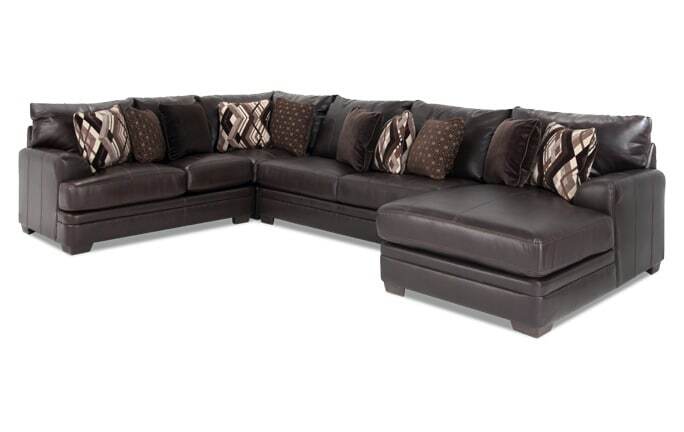 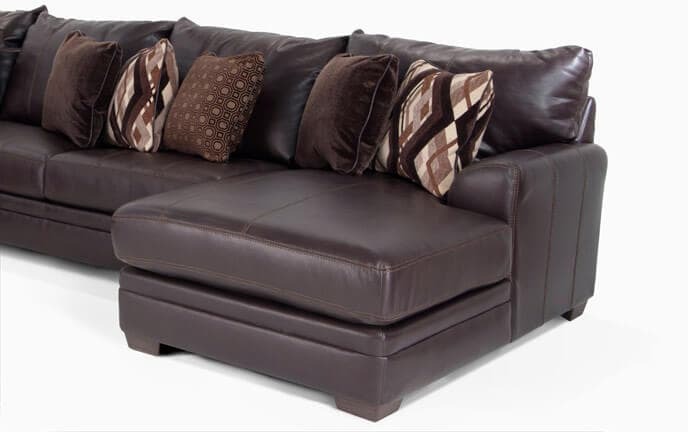 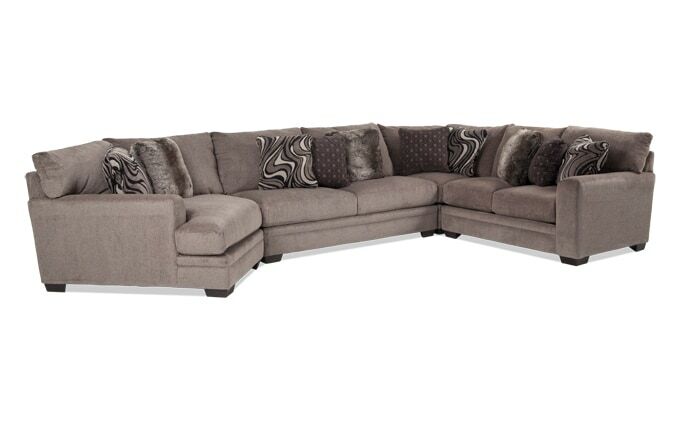 Make your living room complete with my Ashton 5 Piece Right Arm Facing Sectional! 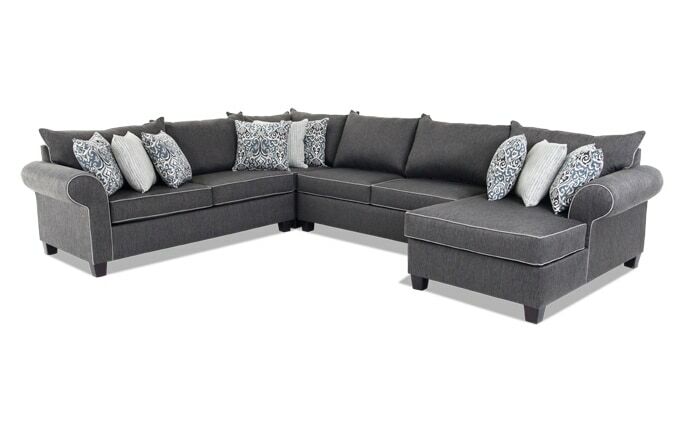 Not only does this sectional look good, it sits like a dream thanks to my Bob-O-Pedic Memory Foam Seating. 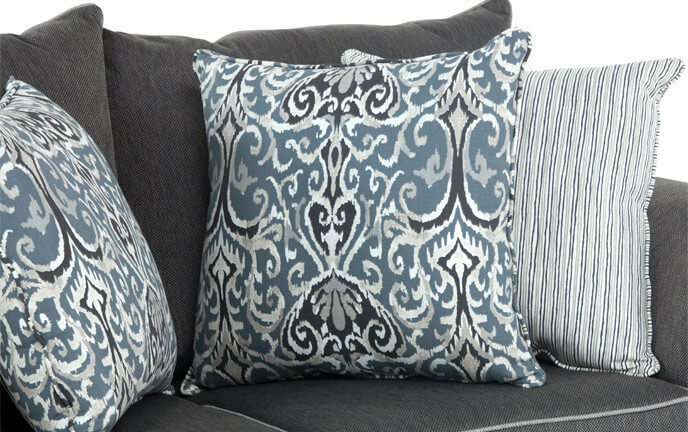 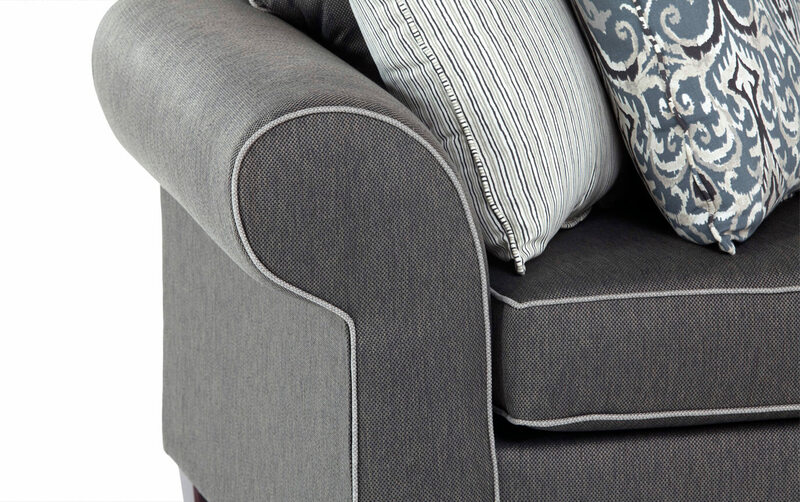 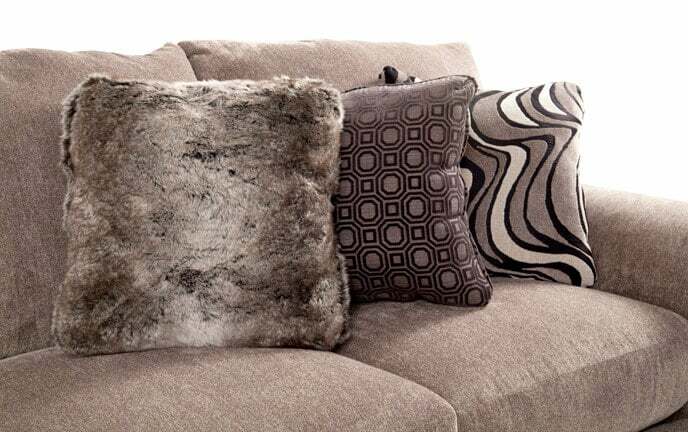 In your choice of light gray or charcoal fabric, along with the contrast welt and nine decorative accent pillows give a high end look and feel. The large accent ottoman is the perfect finishing touch and great for additional seating.